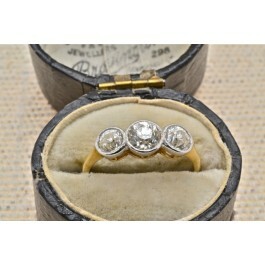 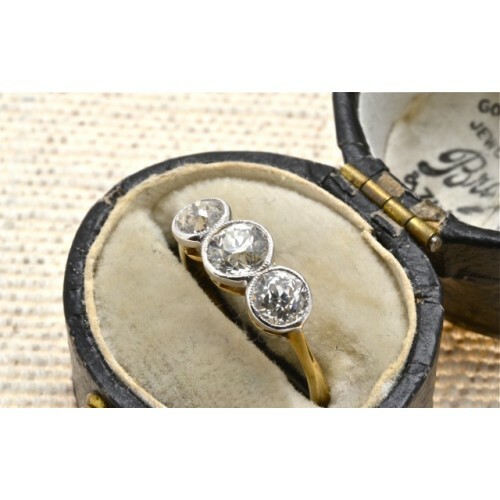 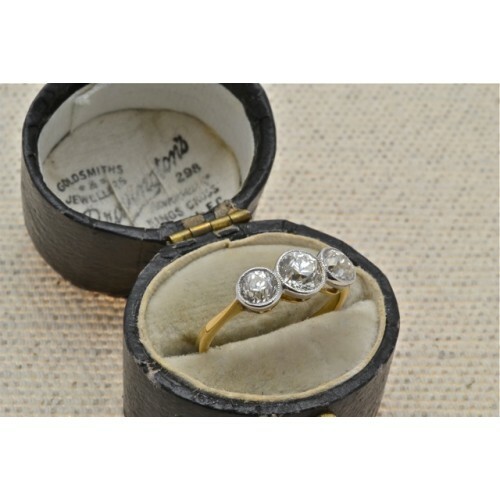 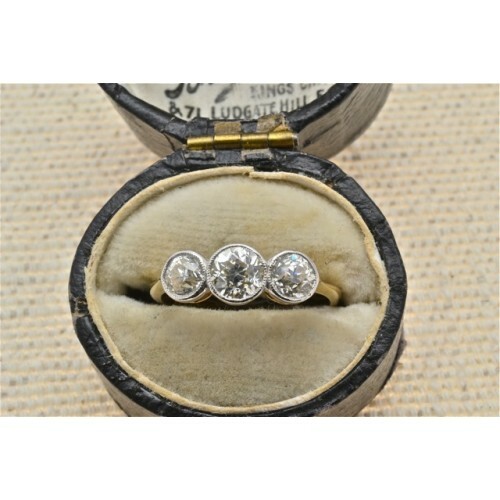 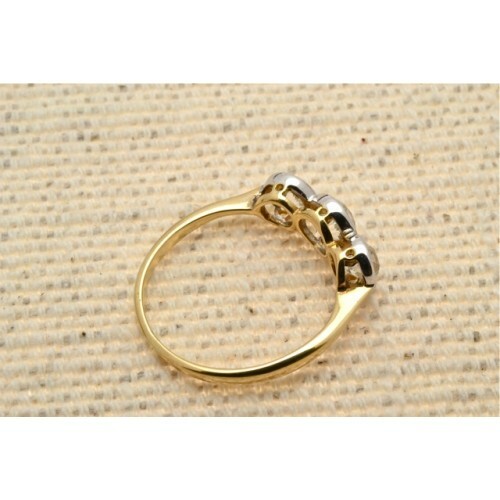 Antique three stone diamond ring in rub-over mount. 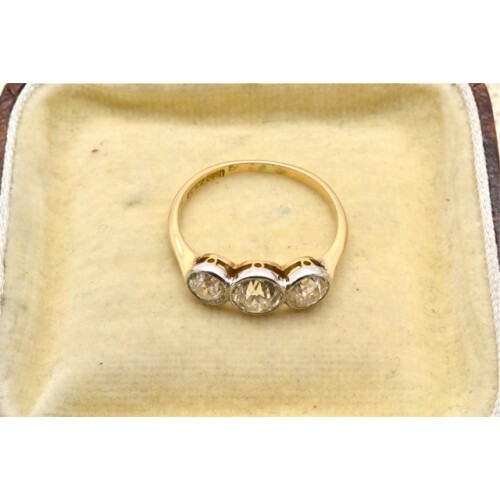 Antique 18ct yellow gold three stone diamond ring, the diamonds are old cuts, weighing circa 90 points, Colour I, Clarity VS. 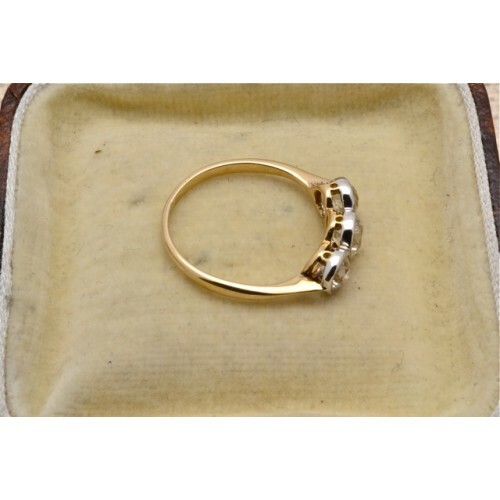 In a rub-over mount with milligrain.